The United States beat Singapore by 2.1 points. If the World Economic Forum's Global Competitive Index 2018 is anything to go by, Singapore could improve on business dynamism, and innovation capability to beat the global powerhouse that is the United States. The US topped the index with a score of 85.6, effectively beating Singapore which scored 83.5. Despite its second place finish, it could still be regarded as an improvement as Singapore was previously ranked third in the 2017 version of the index. The study found that Singapore, alongside Germany, Netherlands, Sweden, Finland, and the United States are amongst the most open economies in the world. Aside from embracing trade, WEF said that open economies are welcoming of people’s movement and ideas exchange. “More open economies are more innovative and their markets more competitive,” the report noted. “However, whilst openness has been a ‘win-win’ between countries it is at times a ‘win-lose’ within countries. According to the report, attempting to address inequality by reversing globalisation is counterproductive for sustained economic growth. Aside from the republic’s openness, the study also found that the government of Singapore is the most ‘future-ready’, besting Luxembourg and even first placer US. The study looked into key features that could help countries to move forward during the Fourth Industrial Revolution (4IR) including the adaptability and agility of individuals, governments and businesses. In terms of workforce diversity, the Lion City stood next to Canada as the most diverse workforce, placing better than the United States which placed third in the area. 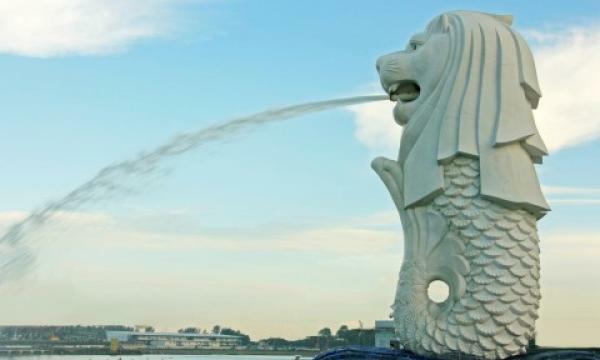 The Lion City also bested the index in terms of Infrastructure pillar with a score of 95.7. “In particular, it boasts world-class transport infrastructure, services and connectivity,” the study noted. It also tops the product market pillar (81.2), where it leads the trade openness component. Moreover, Singapore also punches well above its weight in terms of market size, when taking into account imports (71.0, 27th globally). For the health pillar, the country is hailed as the best, thanks to a healthy life expectancy of 74 years, ahead of Japan. Meanwhile, the study found that Singapore still needs to improve its ecosystem further in order to upgrade from being a regional innovation house into a global powerhouse. This can be done if it improves in the areas of skills (76) where its ranked 20th, business dynamism (74.7) where it ranked 16th, and innovation capability (75) where it ranked 14th. Other Asian countries that made it to the top 10 are Japan and Hong Kong SAR at fifth and seventh places, respectively.